We provide top quality Eggbutt Bits for all equestrian riders. We offer many award winning products at everyday low prices. This item is also made of pure solid stainless steel which will last a lifetime. The Medium Weight Hollow Mouth Eggbutt Bit will not hurt the lips and mouth piece does not rotate around ring. This product allows for lighter application on the affected parts of the mouth. Bit also creates snapping action between rings and mouthpiece. 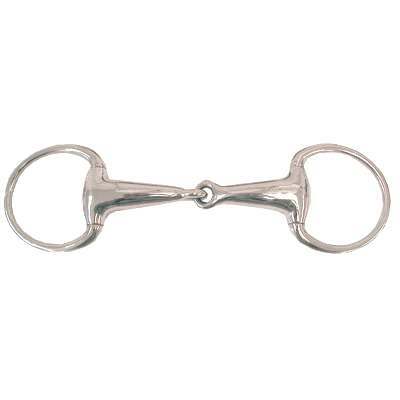 Treat your horse with this comfortable bit and go for a ride today. This Eggbutt Bit measures 2 1/2'' in the rings and 24mm mouth.